Paris Police responded to an assault in the 500-block of NW 3rd St Friday night at 10:45. Reportedly, the victim’s ex-boyfriend had entered the residence by climbing through an open window. Once inside, the 31-year-old male suspect assaulted the victim. The suspect then stole some personal property of the victim’s and fled the scene. The victim sought medical attention due to believing that she had some possible internal injuries. The incident is under investigation. some damage to her vehicle and during the argument, the boyfriend had choked her. The investigation continues. the report. The investigation continues. 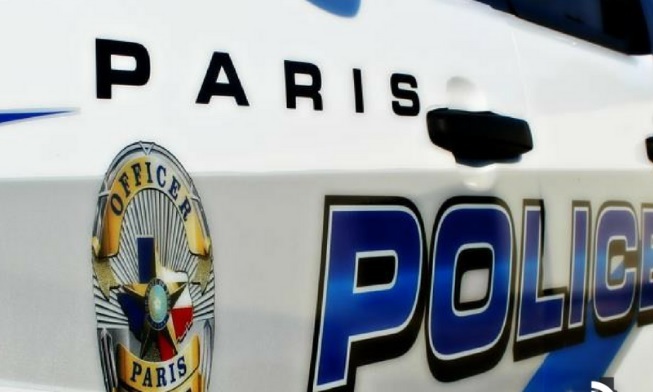 Monday morning at 3:25, Paris Police responded to the 3100-block of Clarksville about a burglary of a residence. The victim advised that they had left the house at about 7:00 Sunday evening. Upon their return, they found that someone had broken into the residence by forcing the front door open. Once inside, the victim advised that a 55-inch television and some cash were missing. It appears that the suspect had poured bleach on some of the furniture. The incident is under investigation. Paris Police responded to 245 calls for service and arrested 15 people over the past weekend ending at midnight Sunday (Apr 7).